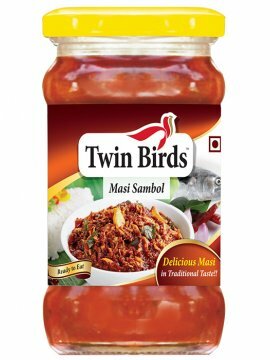 IngredientsFish Pieces, Gingelly Oil, Chilli Powder, Salt, Ginger Garlic Paste, Green Chillies, Lime Juice, Fenugreek Powder, Mustard Powder, Turmeric Powder and Acetic Acid.CONTAINS CLASS II PRESERVA..
TwinBirds Masi sambol a favorite recipe in India is so good and tasty. 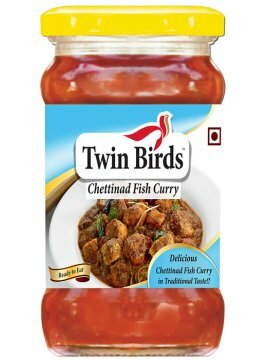 It indicates the Indians traditional types of recipe. 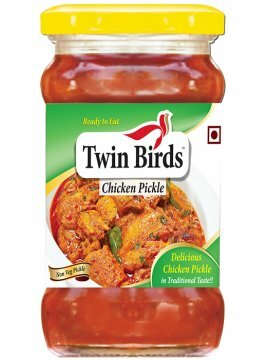 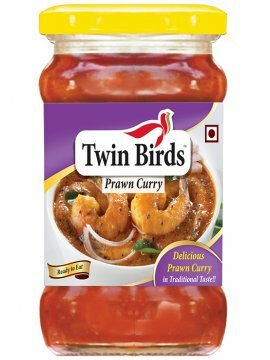 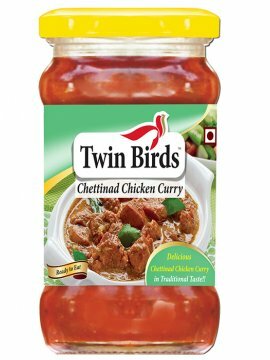 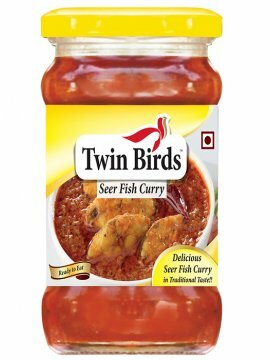 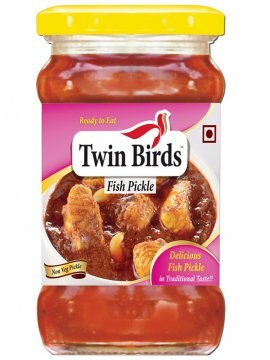 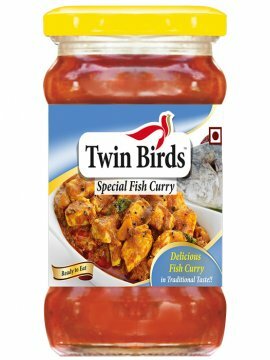 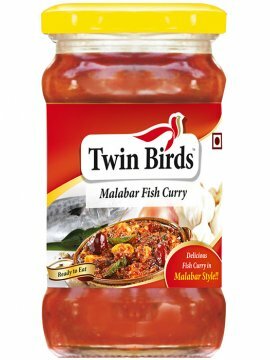 It contains ingredients such as fish (Masi), ground oil, onion, tomato, red..
TwinBirds Malabar fish curry is made from Fish, curry leaves and special Malabar tamarind. 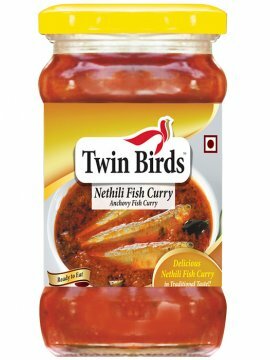 It is a most favorite dish for all age group. 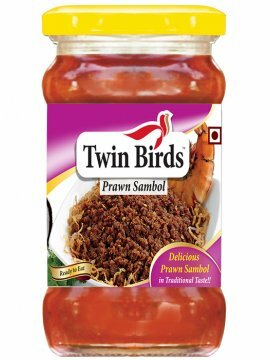 It is prepared by traditional method of Kerala. 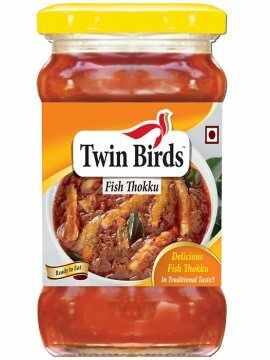 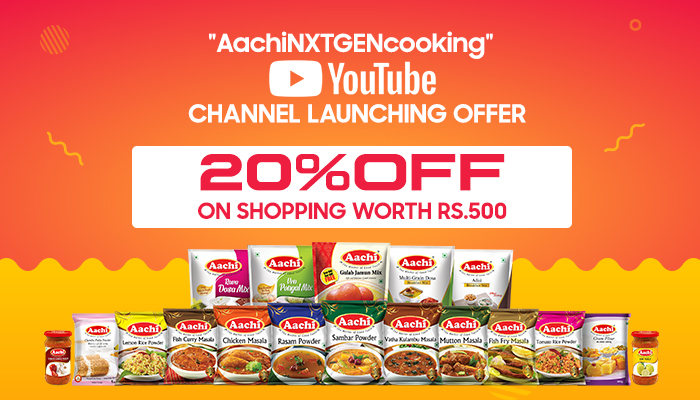 It is a real ta..
IngredientsFish Pieces, Gingelly Oil, Chilli Powder, Salt, Ginger Garlic Paste, Green Chillies, Lime Juice, Tamarind, Fenugreek Powder, Mustard Powder, Turmeric Powder and Acetic Acid.CONTAINS CLASS I..
Pepper fish curry is a south Indian traditional style of recipe. 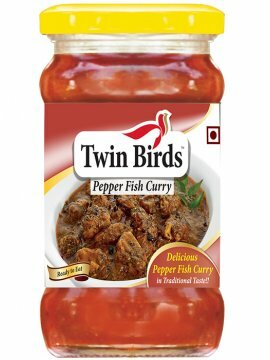 This pepper fish curry has lots of flavors in it but uses very few handy ingredients found in any kitchen pantry.Ingredients:Fish piece..
IngredientsPrawn Pieces, Gingelly Oil, Chilli Powder, Salt, Ginger Garlic Paste, Green Chillies, Lime Juice, Fenugreek Powder, Mustard Powder, Turmeric Powder and Acetic Acid.CONTAINS CLASS II PRESERV..
Prawn sambol is a spicy, chili based sauce or relish that is popular in many countries across Southeast Asia, usually served with Dosa or Rice Pan Cake, alternatively this can be served with steamed r..
TwinBirds Special Fish Curry is very tasty and flavored with Indian traditional in twin birds style. 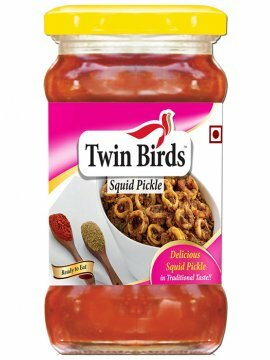 Usually served with Dosa or Rice Pan Cake, alternatively this can be served with steamed rice.Ingre..
Squid pickle is a spicy traditional south Indian recipe. 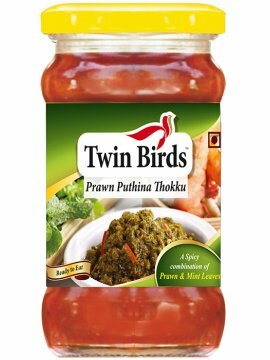 It’s usually goes well with idly dosa and steamed rice. 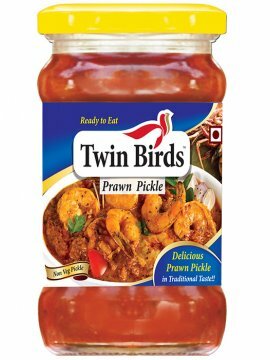 This squid pickle recipe is a great way to expand kids' palates.Ingredients:Squid piece..